"They shouldn't have put him in the water, if they didn't want him to make waves." Bruce Willis stars as a Pittsburgh-based police detective in this crime thriller. The film follows the familiar story arc of a good-hearted cop who runs afoul of his own department--and in this case, his own family--when he threatens to expose corruption in the ranks. Willis' character is disciplined by being assigned to the department's river rescue unit, and when he gets wrapped up in a multiple-murder case, he must fight to clear his own name and bring the bad cops to justice. The film co-stars Sarah Jessica Parker, Dennis Farina, and Tom Sizemore. It was directed by Rowdy Herrington. 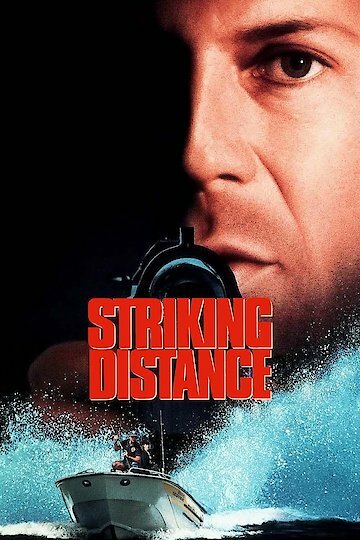 Striking Distance is currently available to watch and stream, buy on demand at Amazon, Vudu, Google Play, FandangoNow, iTunes, YouTube VOD online.